Comfort and breathability equal high performance. You do the math and you’ll agree; the VapoDri Performance Cotton Tee is a winning combination that belongs in every training wardrobe. Combining a relaxed fit with high-performance functionality, the VapoDri Performance Cotton Tee is ideal for all your workout needs. The pinhole eyelet fabrication gives enhanced breathability, and the VapoDri technology wicks sweat away from your skin so you can keep cool while working hard. 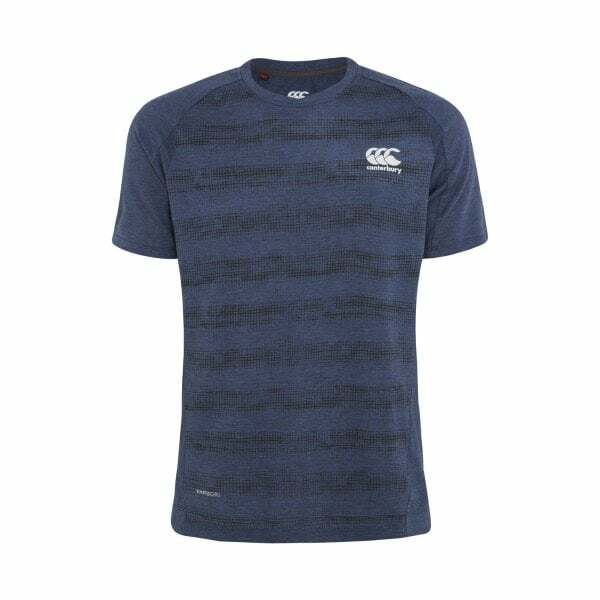 This tee offers a super comfortable fit, with a water-based print graphic that retains the natural, soft hand feel of the material, forward facing side seams for ease of movement, a back hem drop to eliminate garment rise, and a low profile collar that ensures a performance fit for everyone, including larger necks.